Bringing together leading scholars, scientists, and clinicians, this compelling volume explores how therapists can cultivate wisdom and compassion in themselves and their clients. Chapters describe how combining insights from ancient contemplative practices and modern research can enhance the treatment of anxiety, depression, trauma, substance abuse, suicidal behavior, couple conflict, and parenting stress. Seamlessly edited, the book features numerous practical exercises and rich clinical examples. 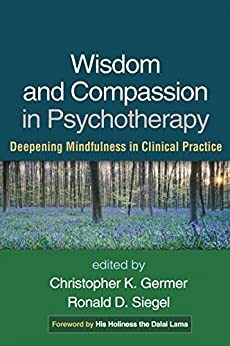 It examines whether wisdom and compassion can be measured objectively, what they look like in the therapy relationship, their role in therapeutic change, and how to integrate them into treatment planning and goal setting. The book includes a foreword by His Holiness the Dalai Lama. Germer and Siegel have outdone themselves with this second, decisive textbook on Mindfulness and Psychotherapy. This book is an antidote to the saturation of "McMindfulness" books that have unfortunately populated the psychotherapy marketplace since publication of their first seminal textbook in 2005. By choosing to focus on the cultivation of compassion and wisdom--the two wings of enlightenment--they have relegated mindfulness back to its rightful place as a tool for cultivating these qualities rather than an end in itself. This allows their book to successfully elucidate the "deepening in" that has been so needed on the clinical use of mindfulness. The beauty of this book is it features excellent chapters written by the crème de la crème clinicians and researchers who have long been involved in studying neuroscience of meditation and/or delivery of mindfulness and heartfulness interventions in mental health settings. Many of the contributors are IMP faculty, most are serious, longtime meditation practitioners, and there are even a few dharma teachers. The style of the book is largely secular and focused on offering information with a plethora of citations on the latest research. 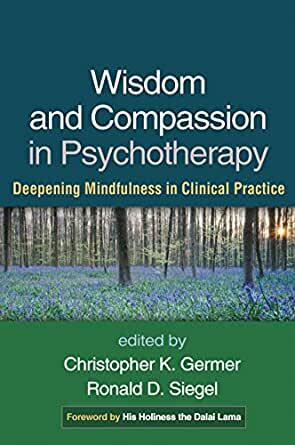 As in their first book clinical interventions are offered for patients and clinicians, and there is a wonderful chapter on cultivating wisdom through ethical conduct targeted specifically for psychotherapists. I was happy to see the inclusion of chapters on trauma, substance use disorders, and relationships, along with the usual topics of depression, anxiety and personality disorders. Bravo! This is a very well written book on Mindfulness. I enjoyed and liked the application of mindfulness for working on the problems that we all go though, some big and not some not so big. I am a psychotherapist and I help people going through suffering by practicing and applying mindfulness. I value this book as a therapist and I recommend it to my clients. This comes from an academic book that is dedicated to modern Buddhist studies. The chapters are academic and not easy reading, proceed carefully if you are thinking of buying it. Good material though.